The Team Beverly Hills program is now accepting applications for the program until June 15. 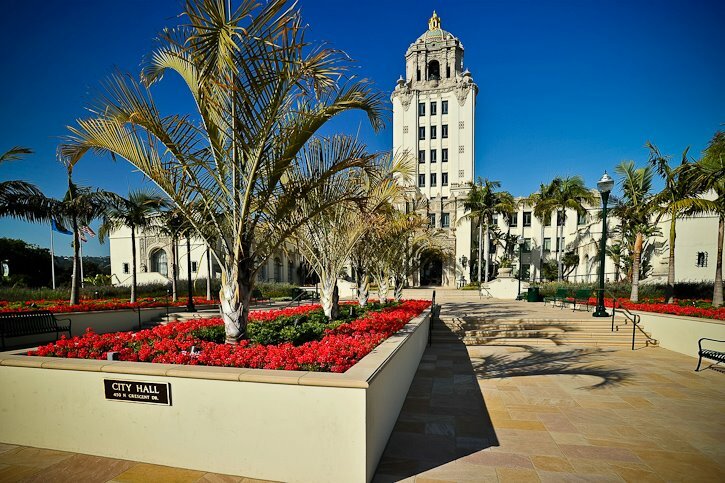 BEVERLY HILLS—Residents can learn more about how their local government works though the Team Beverly Hills Program. According to the city of Beverly Hills website, Team Beverly Hills offers residents with a hands-on approach of how local government operates. This six-month leadership and educational program features nine class sessions and interactive experiences with many departments, highlights various city operations including public works, emergency management, information technology, the library, recreation and parks, and public safety. “Since 1996, over 640 residents have completed Team Beverly Hills. I believe the number of people who go through this program is an affirmation to its popularity among community members,” says Stephanie Harris, Management Analyst and Team Beverly Hills Coordinator. The Beverly Hills City Council will appoint 42 new members in July for the 2018-2019 program which will start in the fall. Through programs such as Team Beverly Hills, citizens become more involved and well-versed about their city and community. Over 81 percent of commissioners and elected officials serving on one of the city’s 11 Commissions are Team BH alumni members and over 100 members regularly volunteer their time at Beverly Hills events, programs and even directly assisting City Departments. Mayor Julian Gold and two of our newest members to City Council, Councilmember Lester Friedman (Class of 2008) and Councilmember Robert Wunderlich (Class of 2010) are Team Beverly Hills alumni. “The Team Beverly Hills program was created to encourage leadership, celebrate community and encourage civic involvement. We hope participants take the knowledge they’ve gained and become more involved in the community,” said Larry Kohn, Team Beverly Hills Chairperson. To obtain more information about Team Beverly Hills or to apply online, visit www.beverlyhills.org/teambeverlyhills. Applications are being accepted through Friday, June 15.